Who knows the impact our prayers will have! I first started attending “See You at the Pole” in second grade. I came with my older sister, Abbie. I didn’t really know what was going on, but I knew we were there to pray for our country. When we arrived, students led us in a time of worship and prayer. I remember praying with another family, and a little boy asked, “Why are we here?” His mother replied, “We are here to pray for our country, our community, and our school because that’s what Jesus does for us. 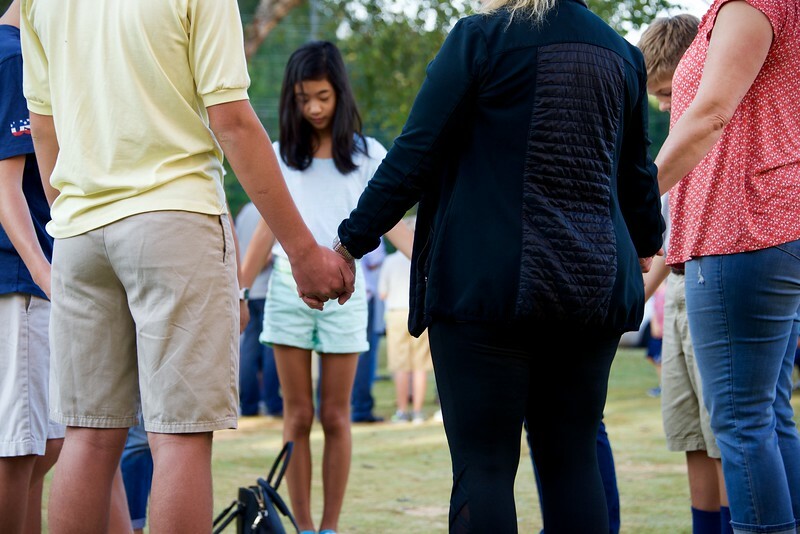 He intercedes.” It was then that I really understood what “See You at the Pole” was all about. Walking out to recess one day, my friends and I noticed that the flag was at half-staff. Our teacher told us it was to honor a past president who had passed away and led us in a time of prayer. Now any time the flag is lowered, it reminds me to stop, ask about the reason, and begin to pray. I hope that in the coming years, as I walk through the halls of public school, seeing the flagpole on campus will continue to serve as a reminder to me to have the courage to stand up for what I believe, serve those around me, and pray for our nation. Now that I am in eighth grade and serving at “See You at the Pole,” I have the opportunity to guide others through this special time of prayer. Now I can share with other students the purpose of this event like that mother did for her son years ago. I desire to encourage other students to pray for the issues happening around us in our nation and to thank the Lord that we live in a nation where we can enjoy the freedom to pray publicly. How important is it for us to pray for the leaders of our school and nation? Who knows the impact our prayers will have! “See You at the Pole” is this Wednesday, September 26th at 8:30 AM at the Middle School Flagpole.